Global panic was put to rest when Kim Kardashian West reassured fans that she only allows her daughter, North West, to straighten her naturally curly hair twice a year. But let's back up a bit: Kardashian West unwittingly set an internet dumpster fire when she shared a sweet picture of her daughter, North, smooching her dad after his flu-related hospital stay. Welp, most folks loved the daddy-daughter shot. Heck, you'd almost think that was a harmless photo of a little girl and her dad… almost. But a fan immediately noted North's lack of her usual curls — and proceeded to offer up some completely unsolicited hair advice to Mama Kim. 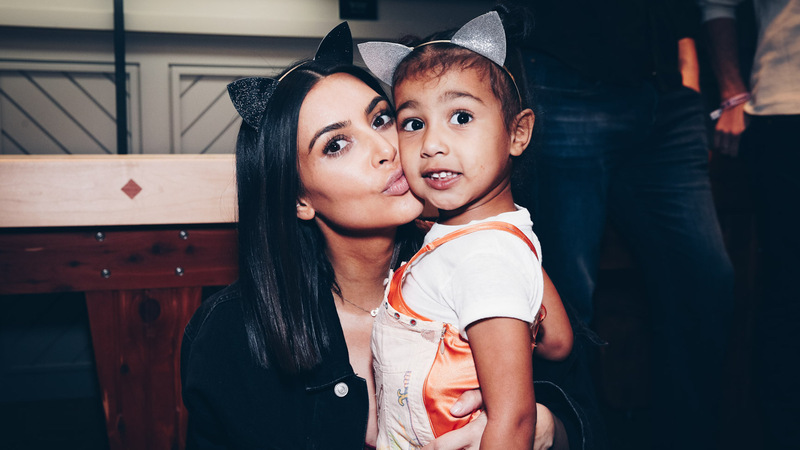 Thank goodness Kardashian West cleared up matters: “She is allowed twice a year, on her birthday and birthday party! This pic was taken back in June on her bday,” she responded to her panicked follower. The responses to Kardashian West's response to the follower's response were plentiful, telling her to mind her own beeswax. Why are you telling a stranger what to do to their child's hair? That's crossing the line. Y'all thumb thugs got nerve. "Thumb thugs" = priceless. Others were frustrated Kardashian West took the time and energy to explain herself. And still others simply posted GIFs. There's history here in this hair tale. Kardashian West was already shamed back in mid-June when she and North stepped out with North sporting sleek locks. But at least now we know there's a straightening-hair rule in place at the Kardashian-West household, I guess. Well, at least for the younger members. Whatever the case, we're betting we haven't heard the end of this story yet. Which makes us think most people on Twitter really, really need to find another hobby.